As summertime rolls around again so does the BBC Proms – but what do you wear? 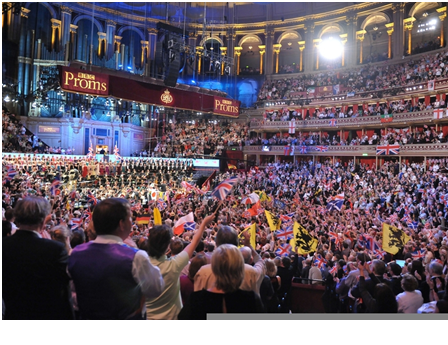 Tonight the Royal Albert Hall opens its doors to hundreds of excited music fans for what will be the first night of the BBC Proms 2013. The event, which has been running since 1895, lasts for eight weeks and provides daily classical concerts. The first night is sure to be one to remember, with sea-inspired works by Britten and Vaughan Williams and a special appearance by the 300-strong Proms Youth Choir and BBC Symphony Chorus. Although described by some as a black-tie event, depending on where you’re sitting this can all change. To avoid the risk of dressing up too much (or not enough), Girl Meets Dress have come up with three full-proof looks to rent that are elegant, stylish and perfect for your whimsical night at the Proms. Hire Alice + Olivia’s Natalie Belted Dress and embrace the floral trend. The tailored dress creates a powerful silhouette which is ideal for the night ahead. We’ve seen a return of the paisley print over recent years, and Samantha Sung’s Claire Paisley Dress is the perfect combination of a summer colour palette and oversized prints. Perhaps after the Proms are finished tonight you’re off to celebrate the weekend with a few drinks in the evening, and for that Carven’s Red Draped Dress has got you covered. Beautiful wrap detail hugs your body in all the right places and its vibrant colour is sure to stand out. All three dresses are available to rent from only £39. 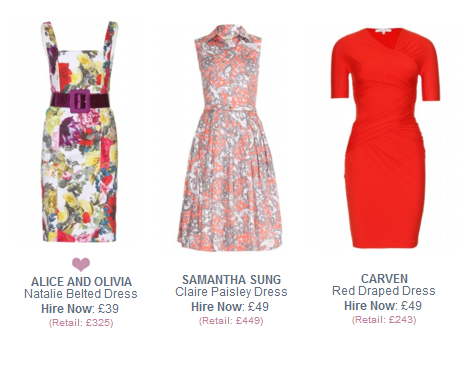 To view our full range of dresses click here. Posted July 12th, 2013 in Event Reports. Tagged: Alice + Olivia, BBC Proms 2013, Black Tie, carven, Classical music, concert, evening dress, hire a dress, music, paisley, printed, rent a dress, Royal Albert Hall, Samantha Sung, symphony, Wrap Dress.